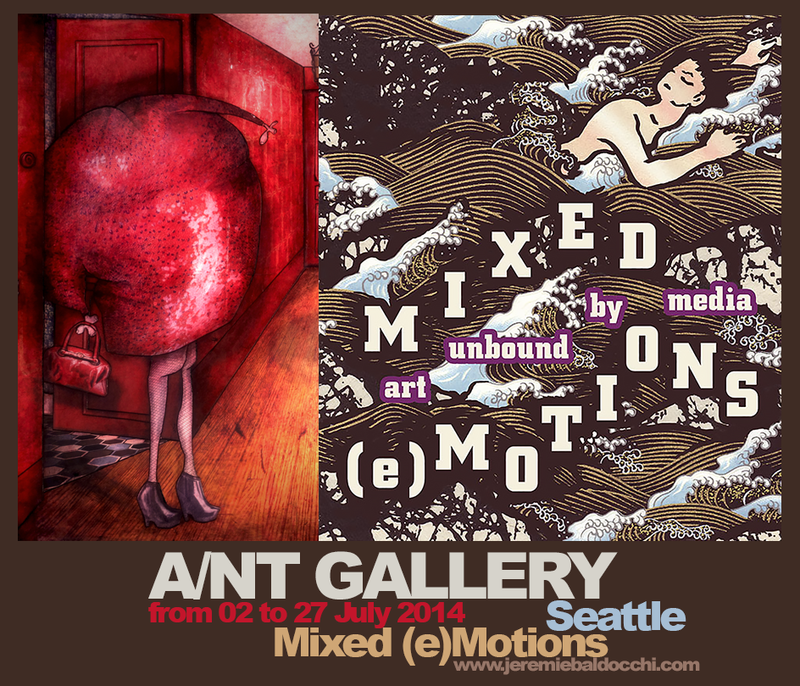 Gallery A / NT is located in Seattle, United States. 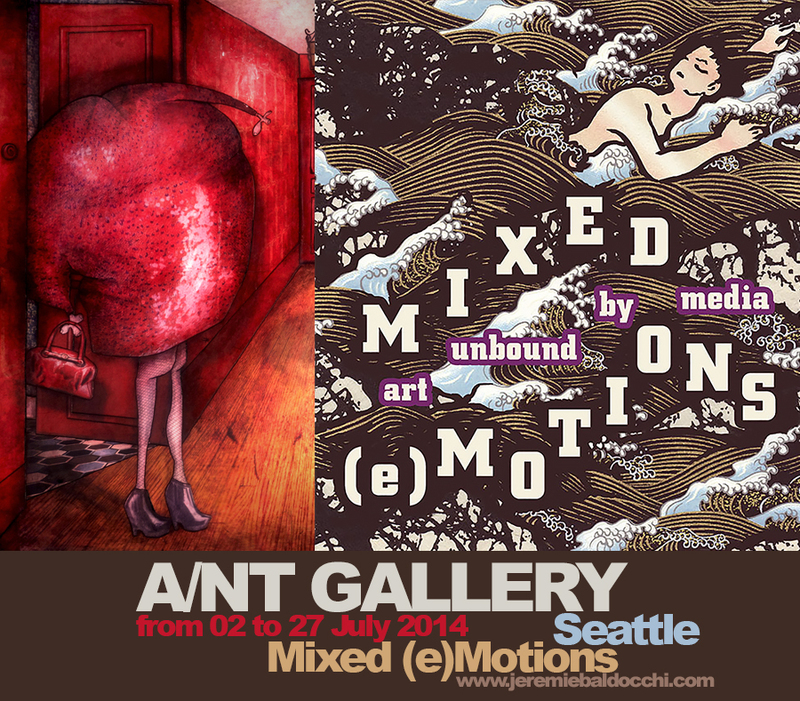 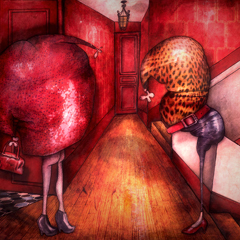 During the month of July it gathers 40 works by international artists working with mixed media. 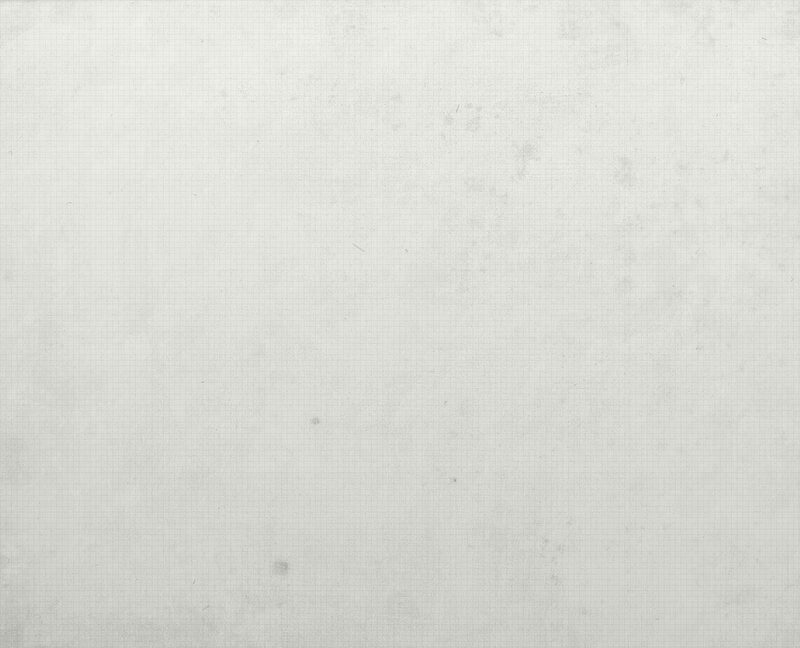 Message sur le mur by Jérémie Baldocchi.